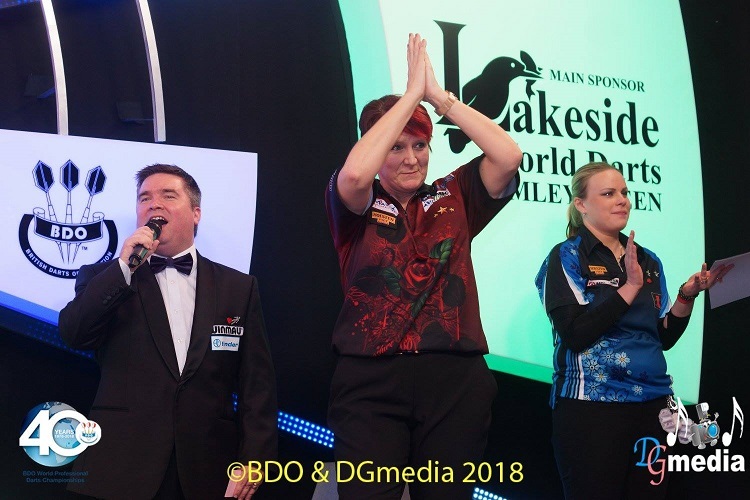 Lisa Ashton retained the BDO Women's World Championship with a come from behind win over Anastasia Dobromyslova. Dobromyslova had been the form player throughout the championship, not dropping a leg, and she whitewashed Ashton 3-0 in the opening set, taking out a 100 finish in the second leg. Ashton then went into overdrive, dropping just one of the next 10 legs to win a fourth world title in five years. She really hit a purple patch in the third set. There was a 12 darter to break Dobromyslova's throw in the first leg and she wrapped up the set with 130 on the bullseye. Defending champion Glen Durrant outplayed Scott Waites in their semi final, powering to a 6-2 win. Durrant averaged 96.61 and was only two darts away from finishing the match with a perfect leg. He started the third leg of the eighth set with seven treble 20s and was then millimetres away from the treble 19 that would have left double 12. The opening three sets all went against the darts and from 2-1 up, Durrant pulled away to lead 5-1. Waites threw his best darts of the match to peg back the seventh set and had a shot at 91 for a break in the opening leg of the eighth. But he didn't get a dart at a double and Durrant didn't give him another chance. 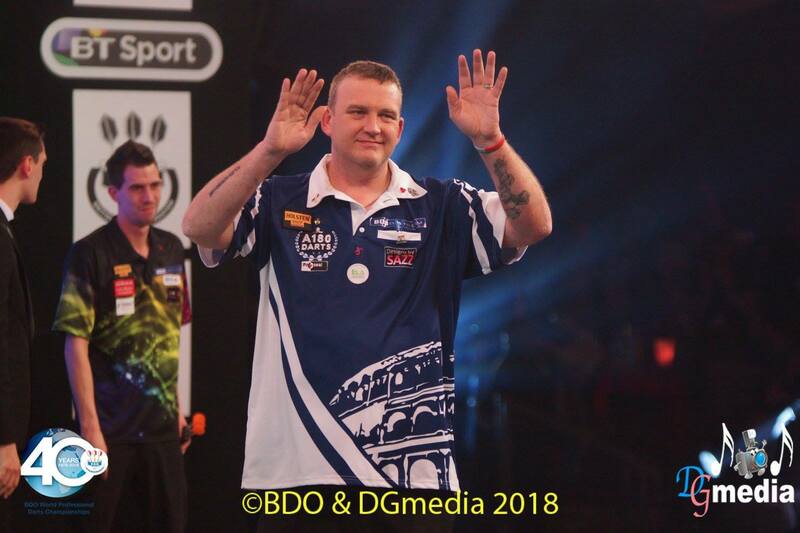 The men's BDO World Championship final will be contested by the top two seeds for the first time since 1999 after Mark McGeeney ended Michael Unterbuchner's Lakeside fairytale in a gripping semi final. Unterbuchner has this week shown himself to be a dogged competitor who believes no cause is lost, but McGeeney didn't let the German back in after breaking his throw in the seventh set for a 4-3 lead. McGeeney responded superbly when Unterbuchner put his throw under pressure in the fourth leg of the eighth set, taking out 204 with four darts for a 5-3 lead. The German showed he was far from finished by winning the ninth set without reply, taking out 149 in the third leg, for 5-4 and then heaped pressure on the McGeeney throw in the opening leg of the 10th set. McGeeney took aim at 25 with Unterbuchner sitting on 24 for a break - and McGeeney's nerve held. He nailed nine and double eight for a hold of throw. The next two legs went with the throw, McGeeney had a 110 check out to win the third, and McGeeney fashioned a shot at 116 for the match in the fourth leg. He missed double top and Unterbuchner sent the set into a fifth leg. 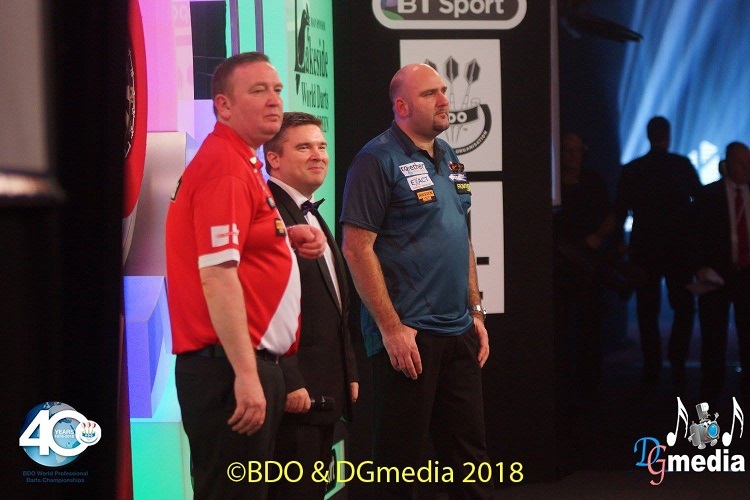 Unterbuchner had a shot at 100 to take the match into a deciding 11th set, but his first dart throwing dropped into the big one, making the outshot impossible and McGeeney found his favourite double 18 for the match.